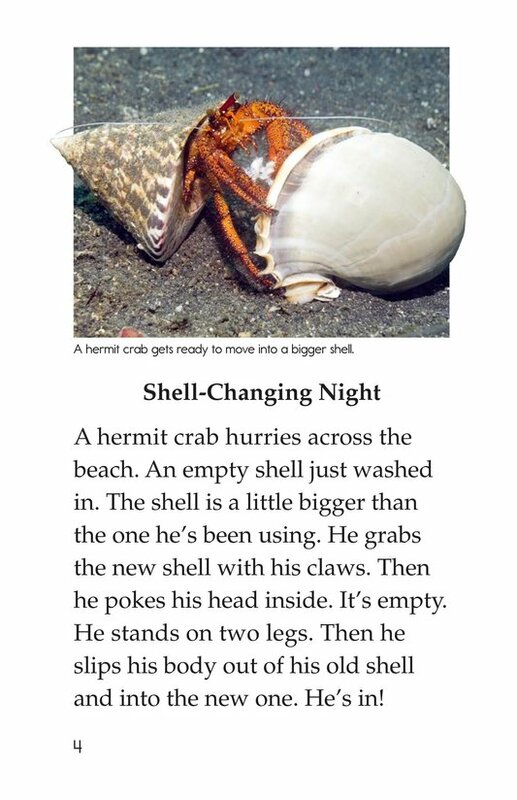 When kids outgrow their clothes, their families buy them bigger clothes. 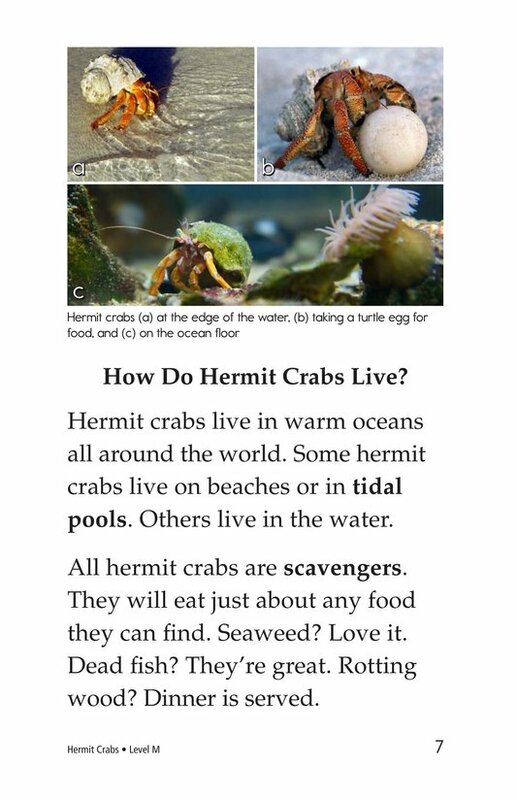 When hermit crabs outgrow their shells, they have to find a bigger one to live in! 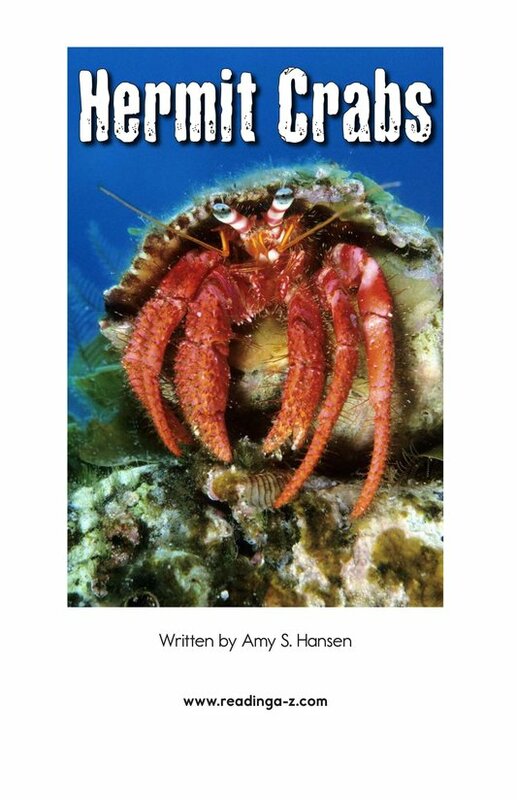 This book is all about these fascinating creatures-what they look like, where they live, what they eat, and who eats them. 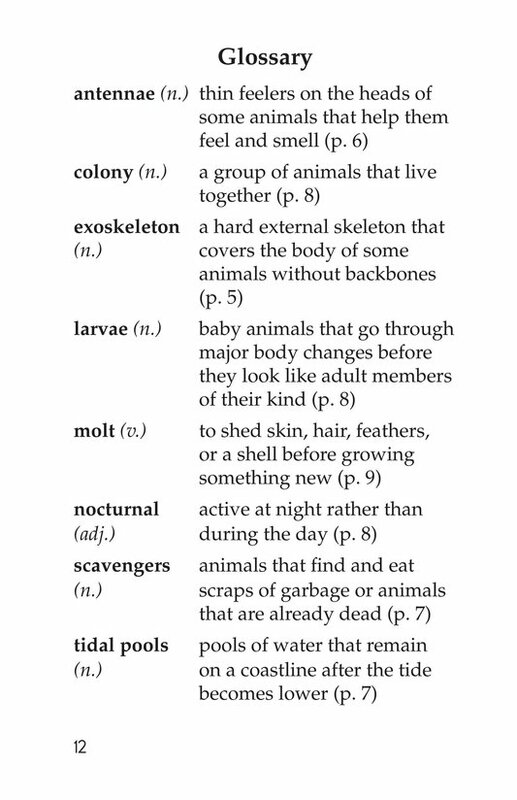 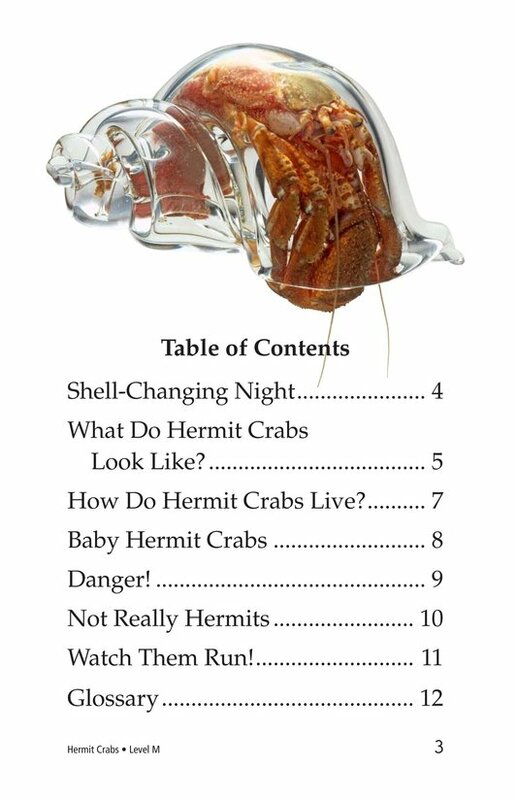 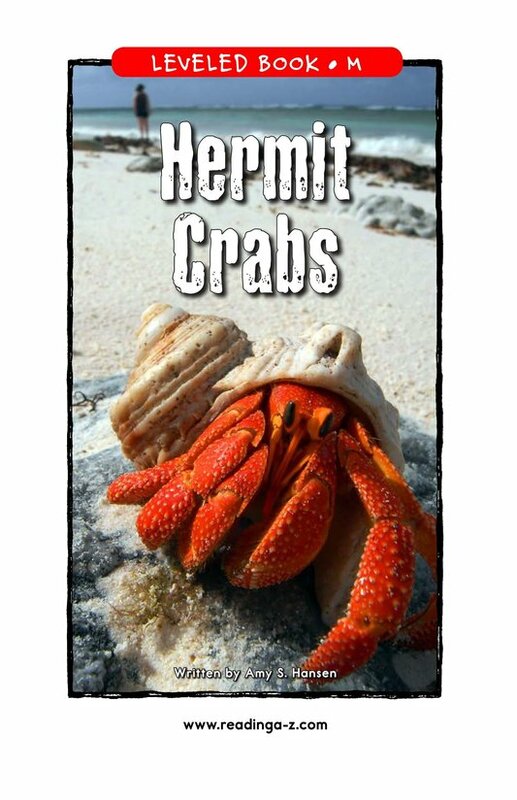 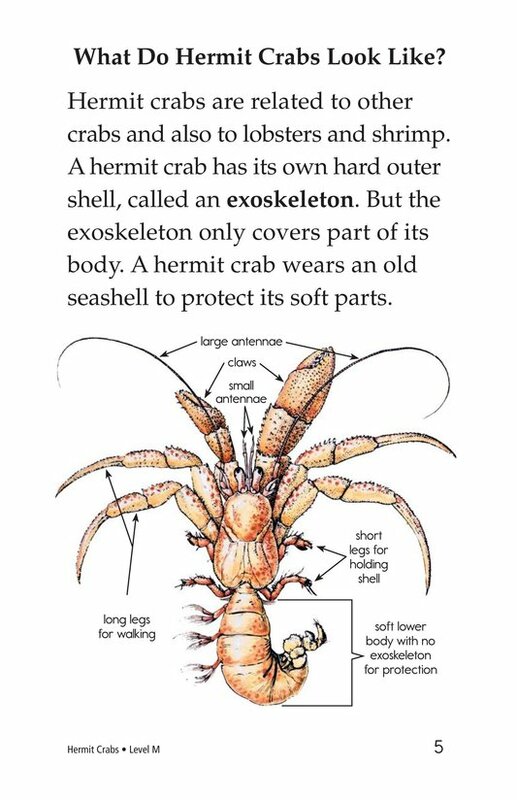 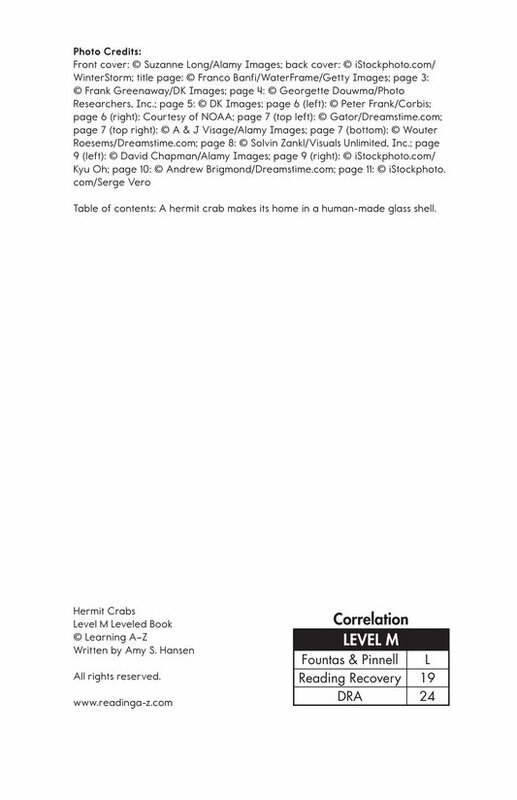 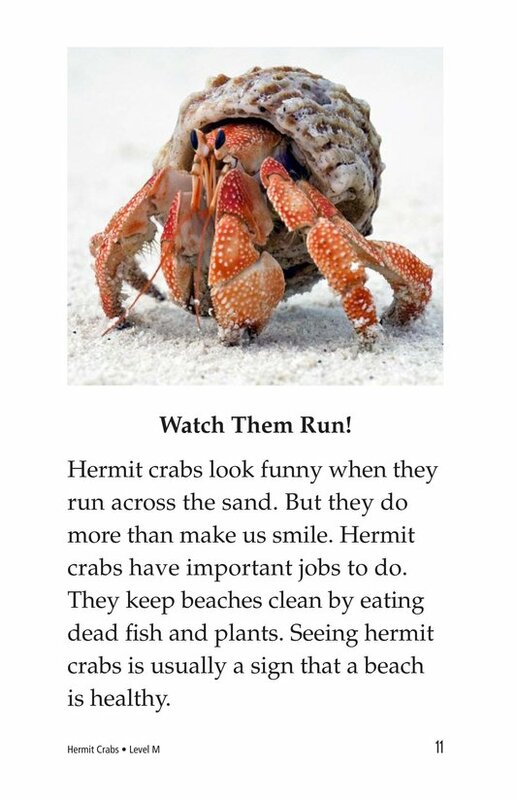 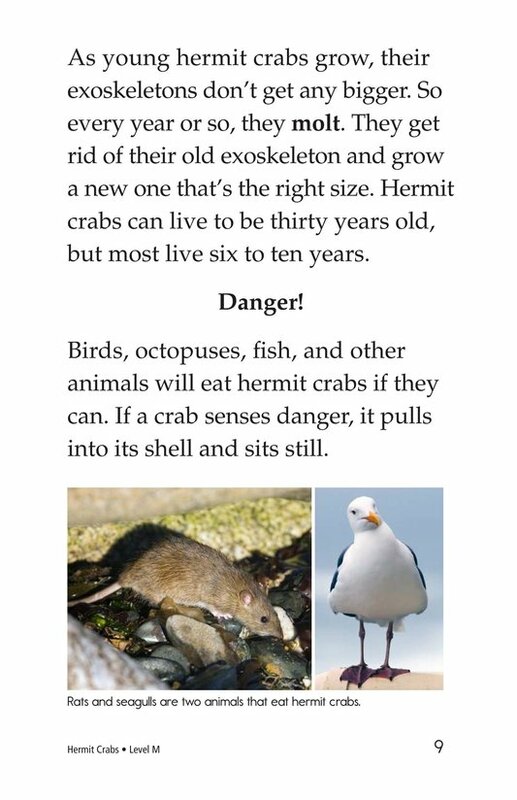 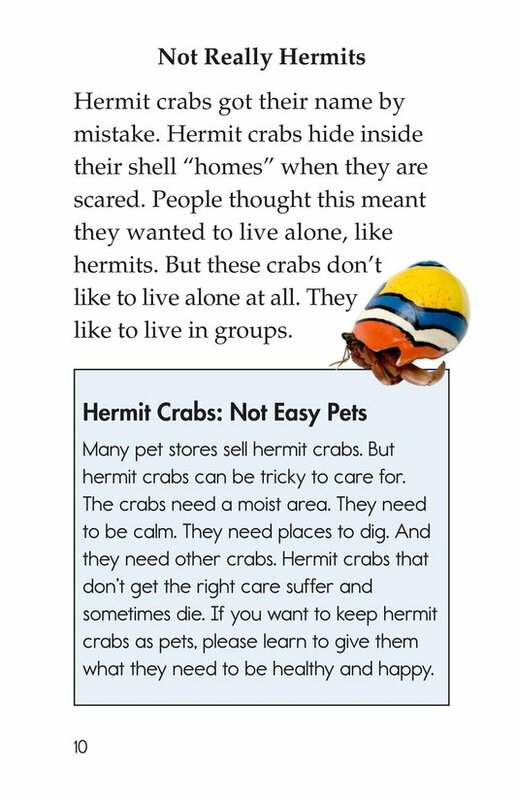 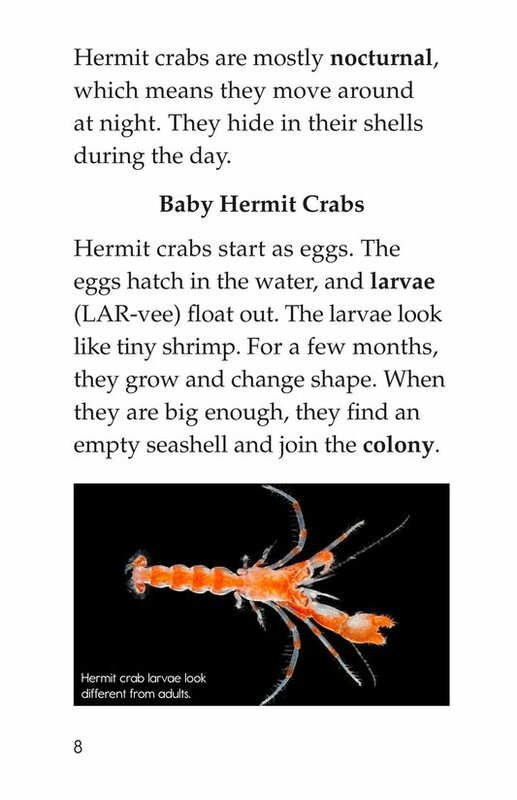 Readers will also learn that even though many pet stores sell hermit crabs, they are not easy pets. 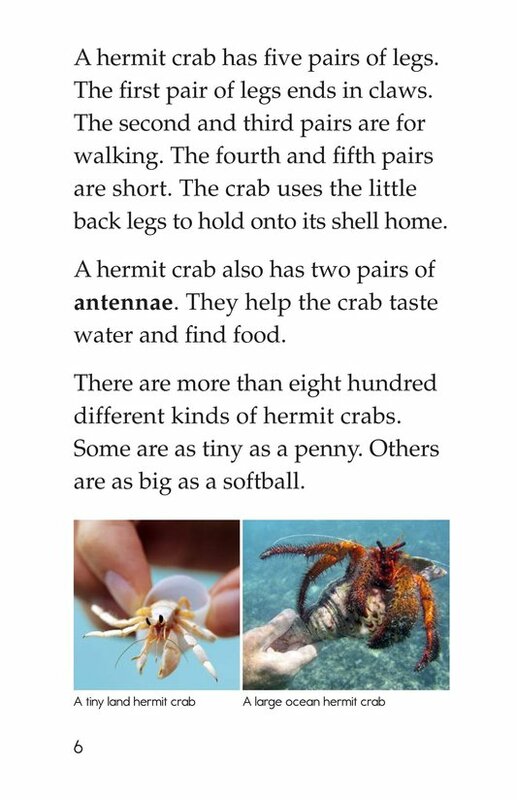 Color photographs support the text.